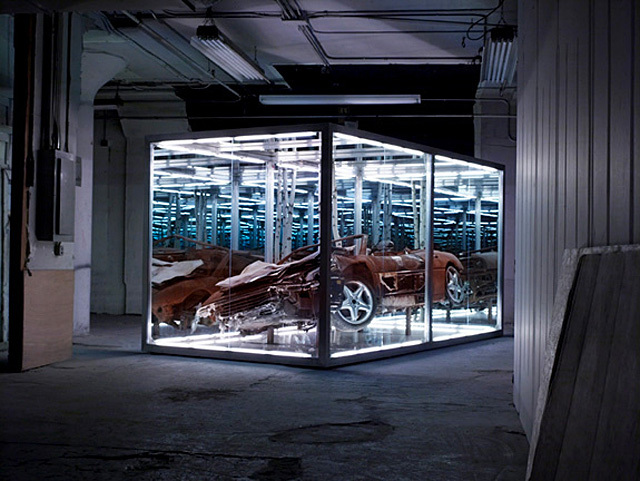 Just in case you crashed your hyper-car — convert it into a piece of art! Awesome sculpture of Anthony James: Ferrari 355 Spider, birch, light. Want! Via today and tomorrow. Webfind of the day, Mr. Lenker!